September 25, 2018: It's always a great pleasure for me to return to Ireland. This time I delivered my 3-day Advanced Development Workshop in Galway to a wonderful group of Film and TV writers, directors, producers and story editors. Many thanks to Eibhlín Ní Mhunghaile and Creative Europe Desk Ireland - Media Office Galway for making this happen, and to the Broadcasting Authority of Ireland for supporting the event. At the end of the workshop, we had a series of one to one meetings, which is always a great opportunity to get to know some of the participants better and try to help them move their project forward. The feedback from the workshop was very positive, so thanks everyone for your kind words, spoken or written! "What a fantastic three day workshop. Emmanuel Oberg explored the mechanics of writing good drama, and provided us with a toolbox to help turn it into great drama. Inspiring stuff!" "In his deconstruction of the story development process, Emmanuel Oberg provided fresh insight into the craft and artistry that combine to create an engaging story. 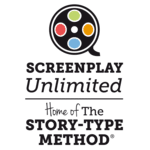 The Story Type method as pioneered by Oberg is a particularly useful diagnostic tool and has helped me identify key structural flaws and weaknesses in my screenplays while equipping me with new tools and strategies to problem-solve. Would highly recommend this workshop to both budding and established screenwriters or indeed anyone engaged in the script development process." "Every once in a while, we need an update; whether it's a software update for our phones or laptops, or an attempt to re-paint the kitchen cabinets. This is the update for story on screen. If you are a writer, an editor, a producer or a commissioner, you need to do this course. Every project you work on will be better - fact! I've been writing and editing for ten years, and I've done lots of different courses over the last decade, but this Advanced Development Workshop has completely revolutionized the way I think about my writing and the structure of story. Not only is the Story Type Method enlightening, it's as creative and fluid as the writing process itself. And it puts the audience at the heart of the discussion. Not in a slavish way that suggests pandering to the market or duplicating previously successful formulas, but in showing the best way to make the story you want to tell enjoyable for the different audiences that are out there. I found this course inspiring and encouraging. Gone is the sense of dread that can accompany sitting down to tackle a scene or a treatment - I'm itching to write. I can think of no higher praise." 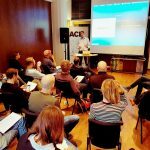 "The Advanced Screenwriting Workshop with Emmanuel Oberg, facilitated by Eibhlín at Creative Europe, was an invaluable experience. This was an intensive three day lecture of case studies, discussion, and a new way to look at the screenwriting process that I found incredibly helpful and inspiring. Not only for current projects, but as a tool to dissect previous scripts that were proving stubborn in the rewriting process! The workshop was also an opportunity to meet with other writers, directors, and producers from all over the country – a welcome reprieve from the often isolated days of a writer. I would recommend this workshop to anyone who has the opportunity to attend." "The most encouraging workshop I have ever attended. I am a big fan of the book and I highly recommend it to anyone working in the industry. Emmanuel is very enthusiastic and knowledgeable. I cannot thank him enough for sharing his methods with us. The workshop is definitely a game changer and brought my writing skills to the next level. Many thanks." This 3-day event isn't for the faint of heart. It takes focus and stamina to make it to the end, but it can transform your professional life.